We really live in the 'lucky country' with many of us enjoying beach weather all year round! Visiting the beach with your dogs is always fun but there are a few things about the beach that aren’t quite so dog-friendly... 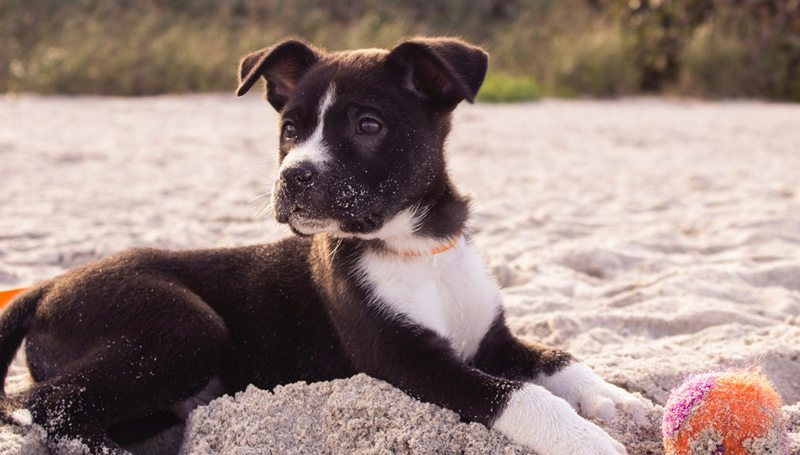 Whether you're a regular visitor or are planning a beach vacation this summer, here are some great tips from Helen Anderson from Animal Equilibrium for taking your dog to the beach and ensure they remain safe. 1. Remember to always check the tide times before you go. 2. Make sure your dog is microchipped, wears a collar and a current ID tag just in case he gets lost. 3. Don’t forget to bring poo bags so you can clean up after your dog! 4. Don’t assume your dog can swim. All dogs have to learn to swim just like us. Some breeds are naturally good strong swimmers, but other breeds (such as French Bulldogs and Pugs) are not. If your dog is not used to swimming then the sea is not the place to start, so please make sure he doesn’t get out of his depth. 5. Consider a life vest or a watercollar if you are planning to swim, sail or surf with your dog. 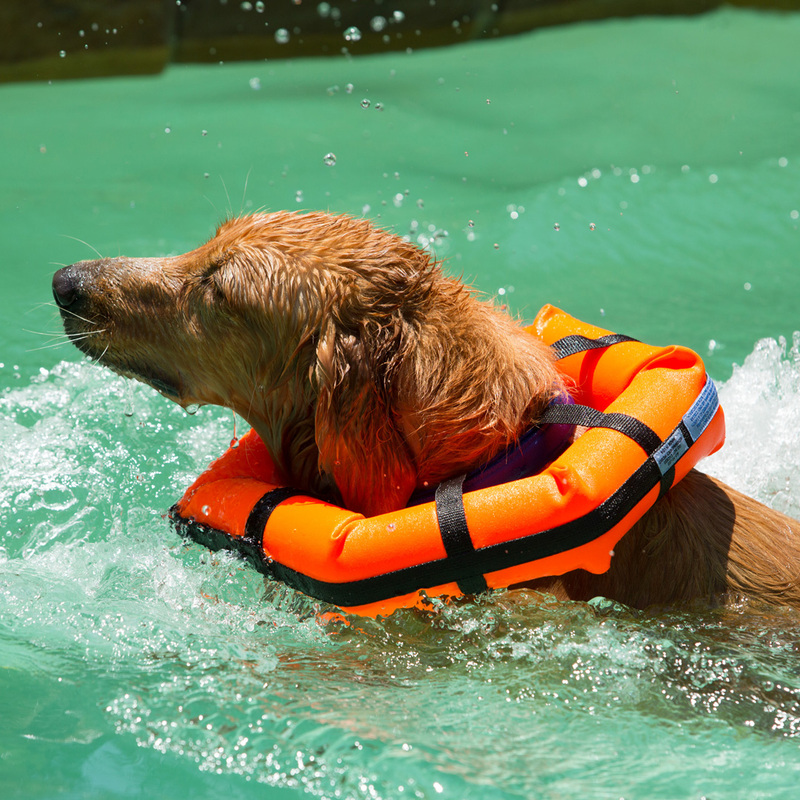 Even dogs that swim well can benefit from wearing a life vest because they can enjoy more time in the water before they get tired. Waves and currents can quickly exhaust your dog, especially in cold water. You can buy life vests (also called PFDs - personal flotation devices) for dogs of all sizes. Some life vests also have a handle on the back, making it easy for you to lift your dog out of the water. 6. Drinking seawater is not good for your dogs. For some reason dogs don't mind drinking salt water, but it doesn’t do them any good and it can make them vomit or worse lead to potentially fatal salt poisoning. Ensure you have plenty of fresh water to keep you both hydrated and a lightweight collapsible water bowl is a must item to pack. Depending on your holiday destination, grassy dunes may be a source of ticks, therefore apply an insect repellant (both neem oil and white vinegar are a good natural insect repellant) and please always check your dog thoroughly after leaving the beach. 8. Consider applying an organic or a natural human-grade sunscreen. This is especially important for short-coated dogs, light-coloured dogs, dogs with close summer haircuts, those with pink noses and hairless breeds as they can sunburn the same way that humans do. You will need to apply sunscreen to areas such as their nose, ears, the inside of their back legs and anywhere else that receives direct sunlight. Reapply sunscreen after your dog takes a dip in the water. 9. Even if your dog loves exercise, don’t overdo it. Running on sand is more tiring than on grass, so don’t expect your dog to be able to run and play for as long as he might on his normal walk. And start slowly, giving him time to warm up to prevent potential injuries. 10. Make sure your dog has a shady area to rest in and remember that sand can be scorching on paws on a hot day. If the sand is too hot for you to leave the back of your hand on for five seconds, it's too hot for their paws! Provide a blanket or towel for your dog's comfort when he takes a break from romping in the surf. 11. 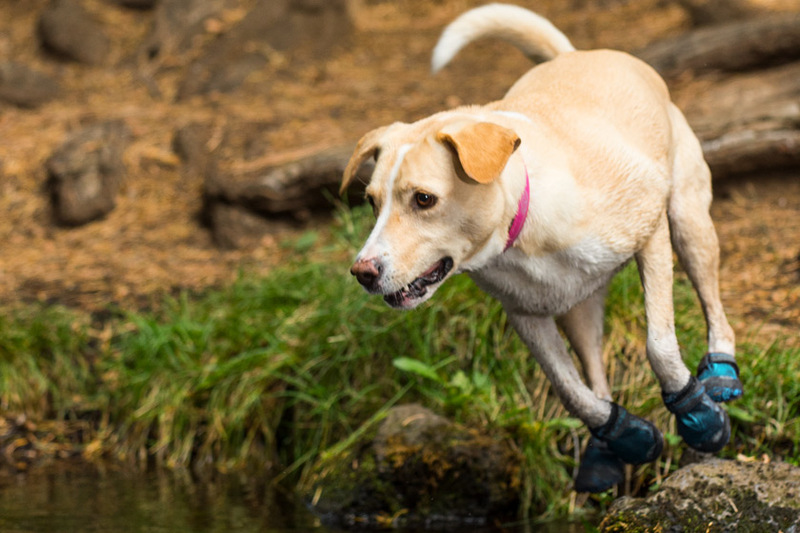 Be careful of jagged rocks and debris - these can potential pose a risk to your dog’s paws, so if possible, bring some kind of paw protection (there are many brands of dog boots on the market). 12. Bring a First Aid Kit with you in case of cut paws or jellyfish stings. Include cotton balls, ammonia (for stings, dilute with water before applying), peroxide and bandages. If a cut does occur, the bleeding can usually be stopped by applying pressure to the area, although larger or deeper cuts may need to be wrapped, and immediate veterinary care should always be sought. Arnica (orally) and colloidal silver (topically) are good to have in a beach first aid kit. Check our Dog First Aid - Quick Reference Guide which covers symptoms and treatment for physical hazards as well as venomous bites and ingested poisons. 13. Watch for signs of overheating such as excessive panting, drooling, coordination problems, vomiting and/or diarrhoea and collapse. 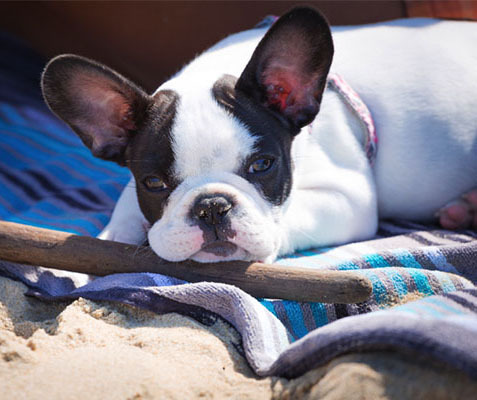 Be careful to avoid heat stroke especially with brachycephalic (short-muzzled) breeds, such as French Bulldogs, Boston Terriers, Boxers, Pugs, Pekingese and Shih Tzus, because they overheat more quickly than long-snouted dogs. 14. If your dog suffers from arthritis or other joint conditions limit the amount of time he spends swimming in cold water. He may think it is great fun at the time, but he will probably be very stiff and sore the following day. 15. Keeping the sand out of your car. That's a tough one! The sand tends to get pretty much everywhere so there’s no point stressing over it. You can give your dog a through wipe-down with a beach towel and a good brushing before they step in. You can also keep some of it at bay though by placing a cargo liner in your vehicle to catch sand and dirt. Most importantly have fun together and take lots of pictures! If you're looking for the latest accessories or items to keep your dogs cool this summer, why not check out our Best Summer Dog Accessories?